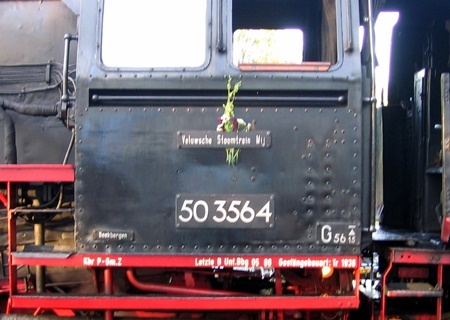 From 1939 the series 50 were the standard class for freight-trains in Germany together with the havier series 44. Over 3000 were build. 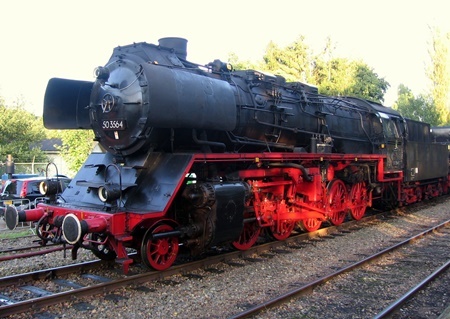 More than half of them were rebuild in Eastern Germany into series 50.35-37 with new boilers. The last 50.35-37 left active service in 1988. This engine started as 50 307 and was reconstructed in 1959. In 1995 she came to the VSM-line. In 2012 the engine was build back into the situation as she was delivered in 1940. It got her old number 50 307. Remarks The development of this class started in 1937 as a replacement for the old freight-train engines in Germany. From this series special simplified versions were derived during the war. After the war many were converted in Eastern Germany (rebuild).